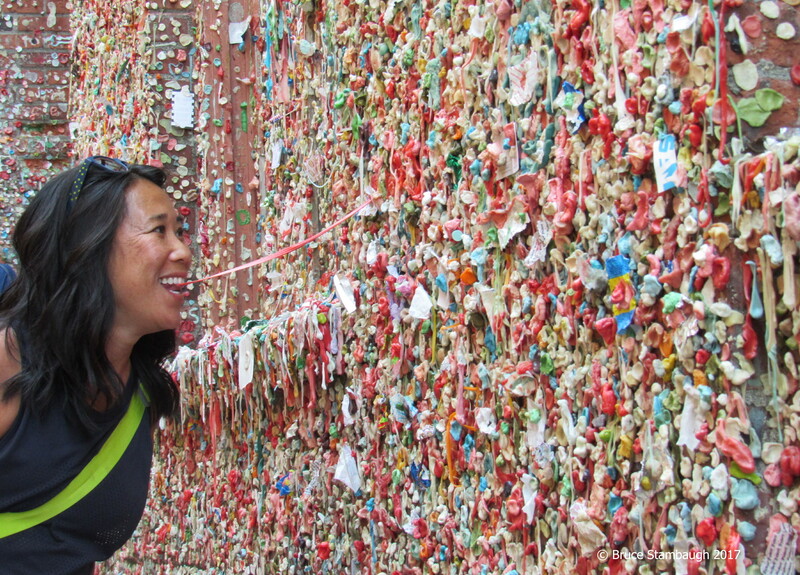 During our brief tour of downtown Seattle, Washington, our friends guided us to Gum Alley. They just smiled and said we had to see it. I had no idea what to expect, but they were right. We had to see it for ourselves. Officially named “Post Alley,” locals have dubbed the narrow street “Gum Alley” for a good reason. Apparently, it’s a Seattle “thing” to stick chewed gum onto the brick walls of the buildings that serve as the bounds of this public right of way. Its beauty is art deco personified. Just loved this! Human beings and their creative endeavors never cease to amuse/amaze me. Thanks for sharing. Thanks, Mary. I’m glad you like the pic.